Tim 'Dr. 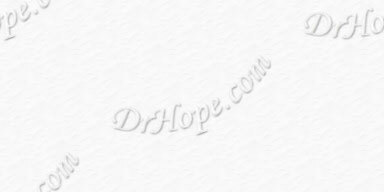 Hope' Anders official website. 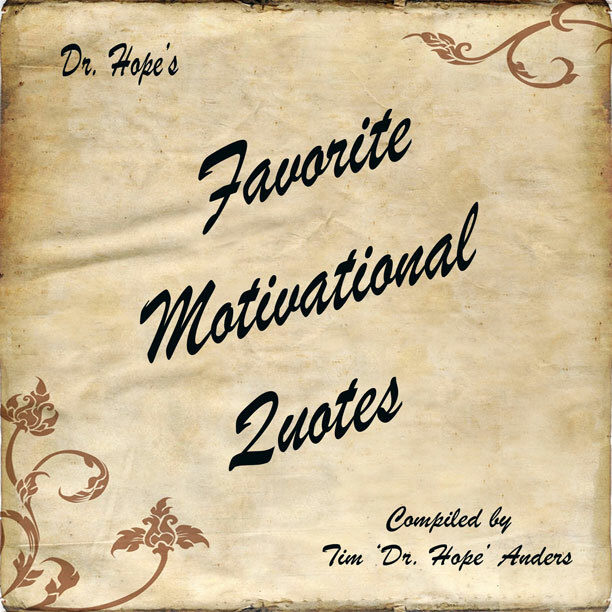 Dr. Hope’s award-winning empowering story books give you self-esteem, teach you the power of believing in yourself, the joy in helping others, the love of laughter, to always try your best, and the benefits of living in the present moment. You can read many of his books online for free and hundreds of other classic storybooks, like Mother Goose, Aesop's Fables, The Grimm Brother's Fairy Tales, Hans Christian Andersen's Fairy Tales, plus cool games and contests where you can win valuable prizes. 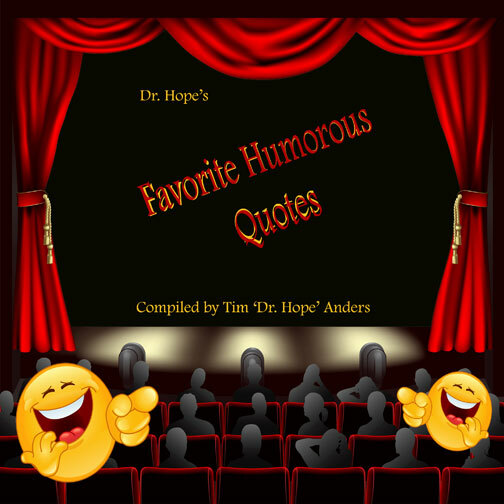 All of this and much more at Dr. Hope's Laughing Day Library Website. Click here and we'll take you right there. power of determination that comes from believing in your dream no matter what happens. The story has a surprise ending. 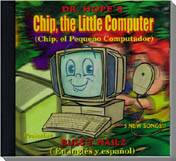 On the CD: Russ T. Nailz and other talented voice actors (Dr. Hope is one of them) act out Chip’s story. In addition, there are 5 original heart-warming and humorous tunes are included. 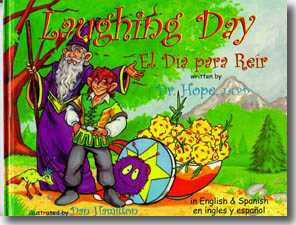 Laughing Day is another delightful story written in both English and Spanish. Oolong, a young lad from the village of the Boologs, searches for Pickled Palamadora, a delicacy that his mother has sent him to buy for the up coming Laughing Day celebration. To his dismay, there is none to be found and he is sent off to the village of the Grumpies to find some. (Grumpies are a group of very disagreeable elves.) This sets the stage for an extraordinary adventure. Wanna know what Betty White, Priscilla Presley, Charton Heston and other folks are saying about Laughing Day? Just click here to find out! Click here to go to the Act of Kindness information page. Yessiree, Tim 'Dr. Hope' Anders' father was a Catholic priest and his mother, a Broadway actress and producer. His new book, Everybody Calls My Father, Father is based on the true life love story of his parents and the strength, humor, and optimism his mother showed in the face of horrific circumstances. Click here to learn more. Why Is An Award-Winning Children’s Book Author/ Poker Professional Writing An Exercise Book? Simple: to help anyone who travels stay in shape with an easy 10 minute hotel room workout. With the aid of a personal trainer with over 20 years experience in the fitness industry, children’s book author/ poker professional, Dr. Hope, J.A.P.D. (Just A Pretend Doctor) has written a delightfully humorous and informative book that will keep you in shape while you are on the road. World Poker Tour Host, Courtney Friel demonstrates these exercises in high quality full color photographs. 176 pages of what you need to know to stay in shape while traveling. Also: a bonus section on how to play No Limit Texas Hold’em. How to customize a diet that will fit your specific nutritional needs. How to get in shape and stay in shape with as little as 1 hour per week of easy no-pain exercises, specifically designed for you. How to lose weight without ever going hungry. © Copyright 2014 Alpine Publishing, Inc.